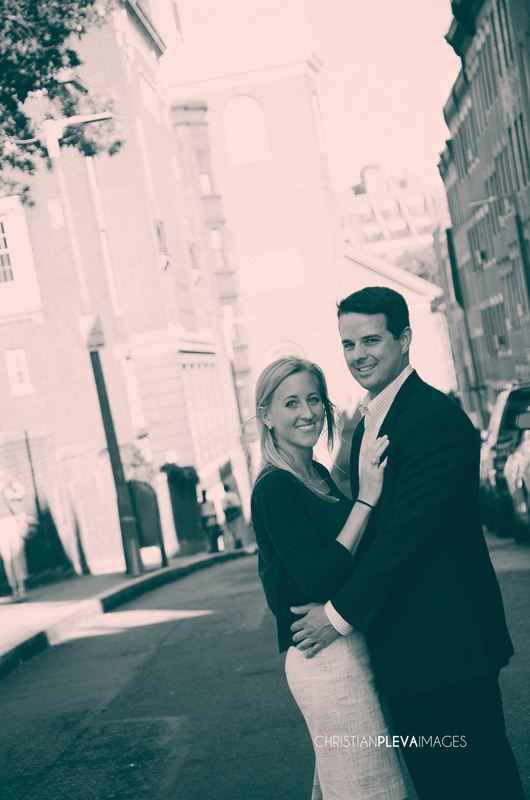 Andy had contacted us about proposing to his girlfriend Jackie outside their building on Snow Hill, just up the street from the Old North Church and of course we said yes! I'm not sure who was more nervous, Andy or myself. The anticipation of the moment is just fantastic. It's always amazing to be a part of a wedding proposal and it's even better when we get to capture the couple in our own neighborhood. I was able to grab a few shots of them coming up the street and I'm pretty sure Andy was alerting me they are on the way. Andy had walked Jackie home from work to get her to the rite spot to make his move! Congratulations you guys! I think we made some nice pictures for you. 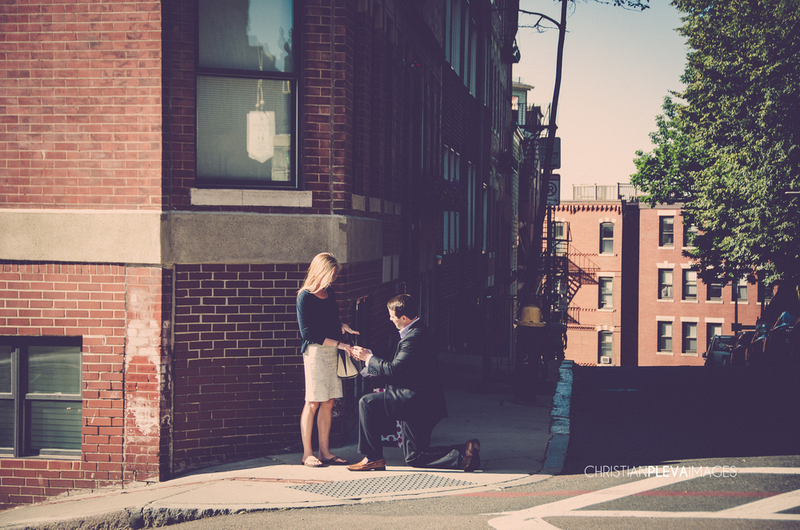 Here are a few sneak peeks of another Boston Wedding Proposal!